Clan Routledge originates from Liddesdale and Roxburgh on the Scottish border. Its earliest recorded mention is in the 14th Century before expanding to Hawick and the surrounding areas in the early 15th Century. Living under the Douglas’ on their lands it was not long before they clashed with one of their rivals. In 1494 they sacked and burned the Scotts Castle at Buccleuch then ten years later Branxholme was destroyed by more Routledges in 1510. The Routledges of Liddesdale were Border Reivers and lived in the debatable lands. They lived, fought and raided alongside the Armstrong family often drawing attention with bold raids into Northumberland and Cumberland. In 1528 the English sent a force of 500 to try and ‘dislodge’ the Routledges from their home, but they simple withdrew to the head of the Tarras and the English force failed. In the previous century however, Routledges of Liddesdale had been rewarded by the would be Richard III and were granted the lands of Bewcastle and the castle in 1478. Their wealth was not to last as when Richard was killed in 1485 they were stripped of their lands and it was given to the Musgrave family. This meant that come the battle of Flodden in 1513 Routledges faced each other on the battle field, no more than a generation or two apart. They fought under Dacre of England and Douglas of Scotland. The Border battles played a significant part of the Routledges Scottish History and in 1543 at the battle of Solway Moss the Routledges once again would have faced each other when an English Routledge captured the Earl of Cassillis. The Chief of the Routledges in Liddesdale is named in 1543 as Alane Routledge when he pledges his son Jock, but alas neither would ever be recorded again, nor any further mention of a Chief. The Rough Wooings which broke out in 1544 and lasted for nine years destroyed the Routledge lands in Scotland and they fled, some to Northumberland and others to Cumberland where they had once raided. Others fled to Ireland. The Rutledges, as they became, of Ireland prospered and gained land and castles quickly, suggesting the Chief fled there too. Those in Northumberland settled in Kilham, but those in Cumberland initial became involved in inter family murders and strife. By 1583 a letter saw it fit to describe the Routledges in Bewcastle as 'every man’s prey 'for they had no allies in Scotland; this was not true. The Routledges by by this point made up nearly half of the population of Bewcastle and Lanercost. Those Routledges still on the border suffered when the Reiver period ended in 1603 and they shared a fate of forced enlistment overseas, execution or forced plantation in Ulster. From Ireland the Routledges spread into the new worlds first arriving in America in 1635 and then Australia in the late 18th Century. Today the name hardly exists in Scotland but still thrives in Northumberland, Cumberland, Ireland and America. 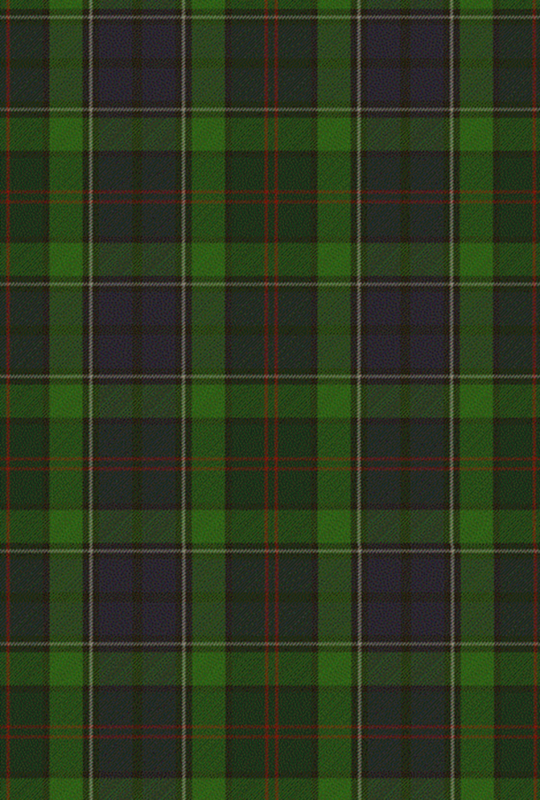 Without a Chief, Clan Routledge are unable to bare a Clan Crest or Badge but they do have the Rutledge tartan and the Motto ‘non sumus praeda’ – ‘We are not prey’.